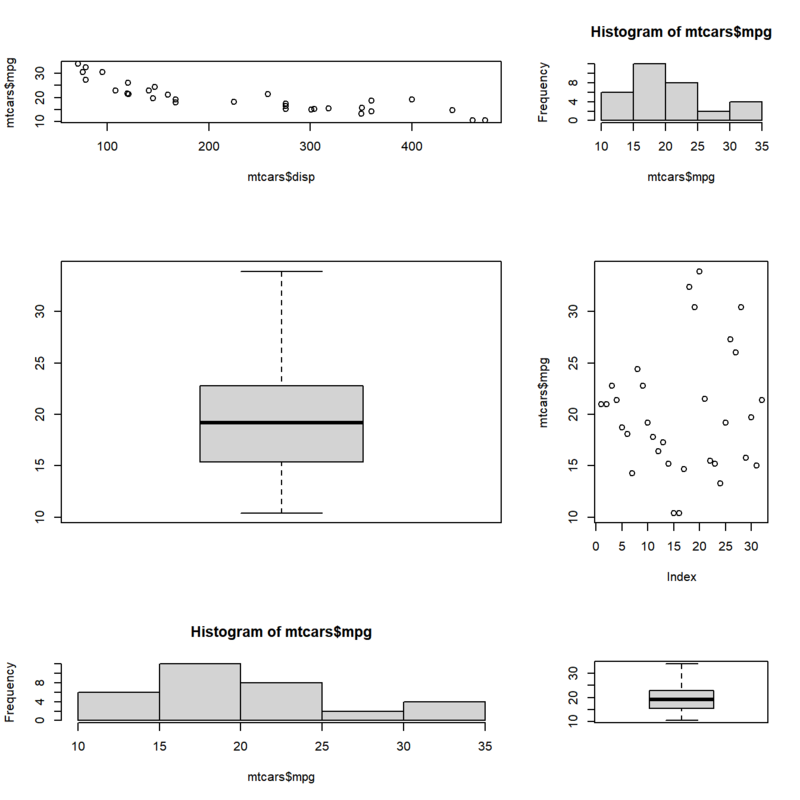 In this chapter, we will learn how to combine multiple plots. 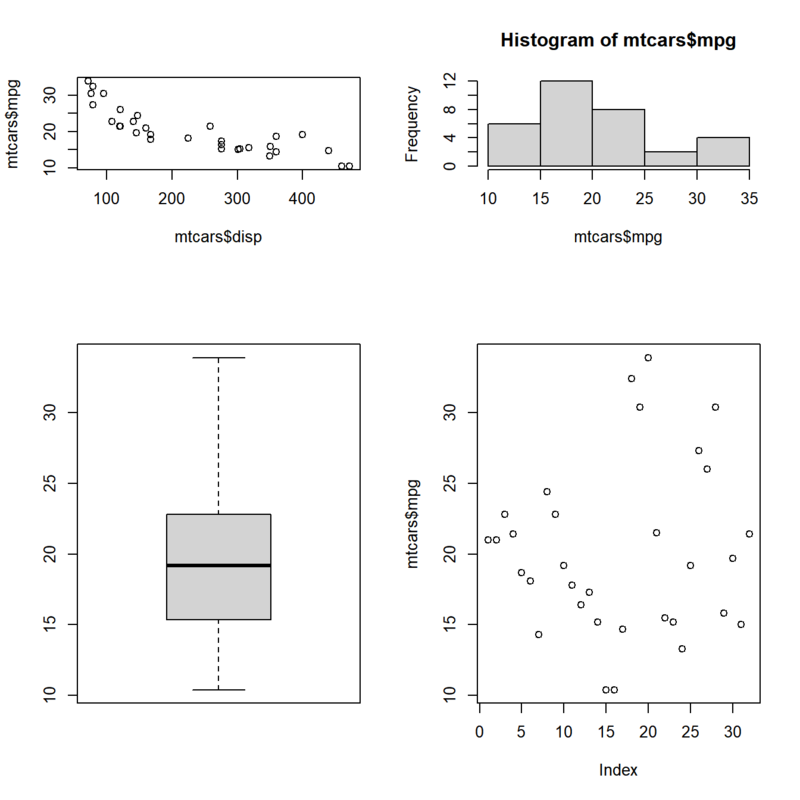 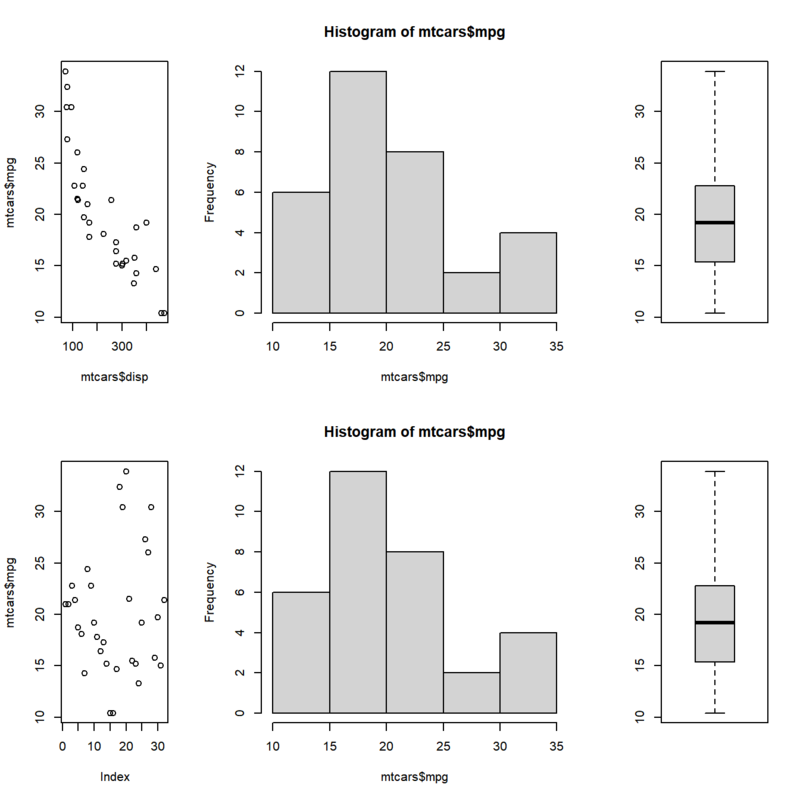 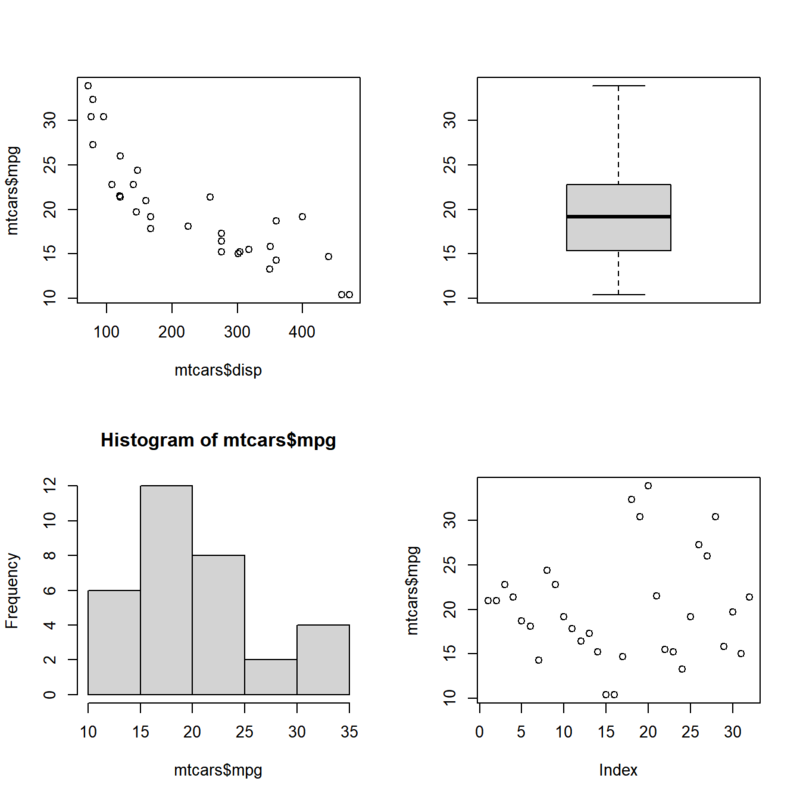 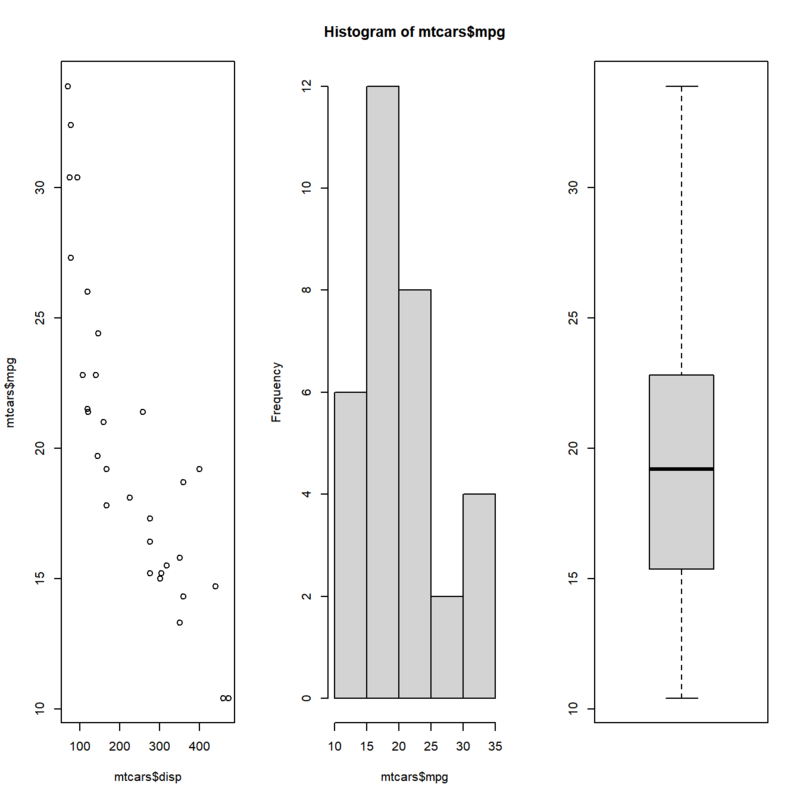 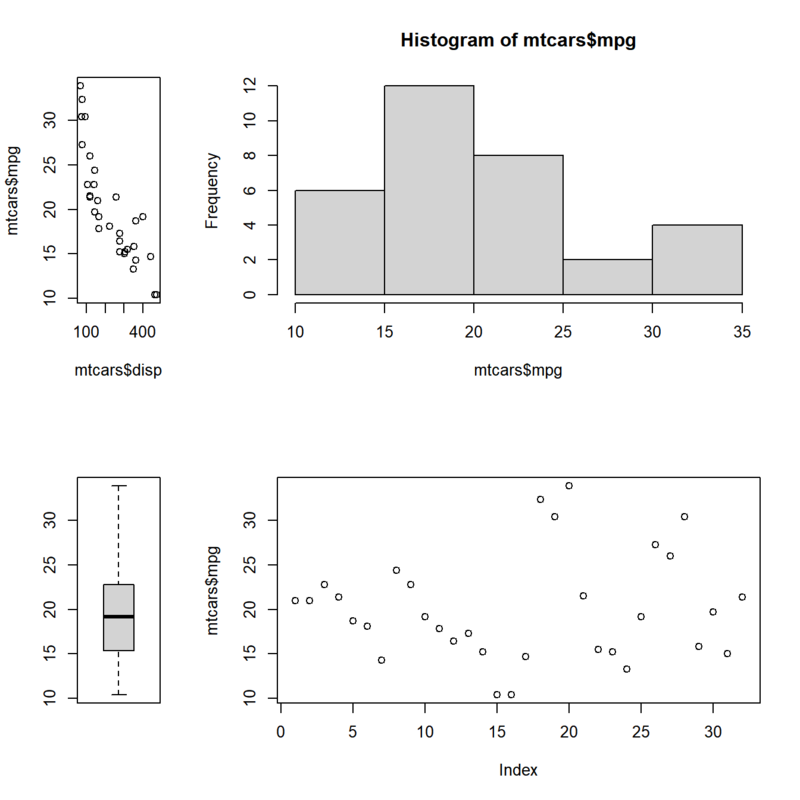 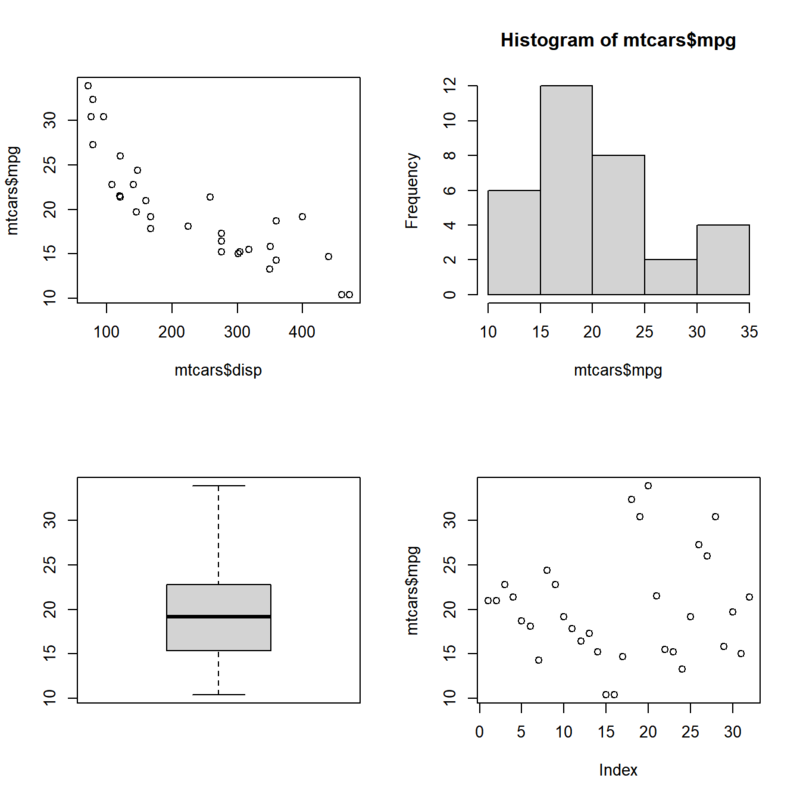 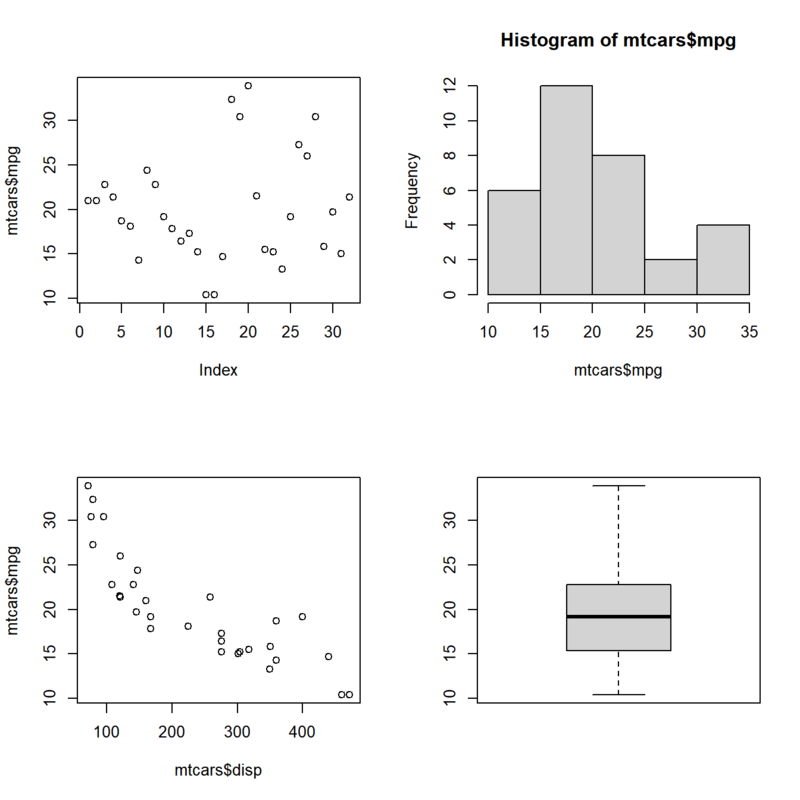 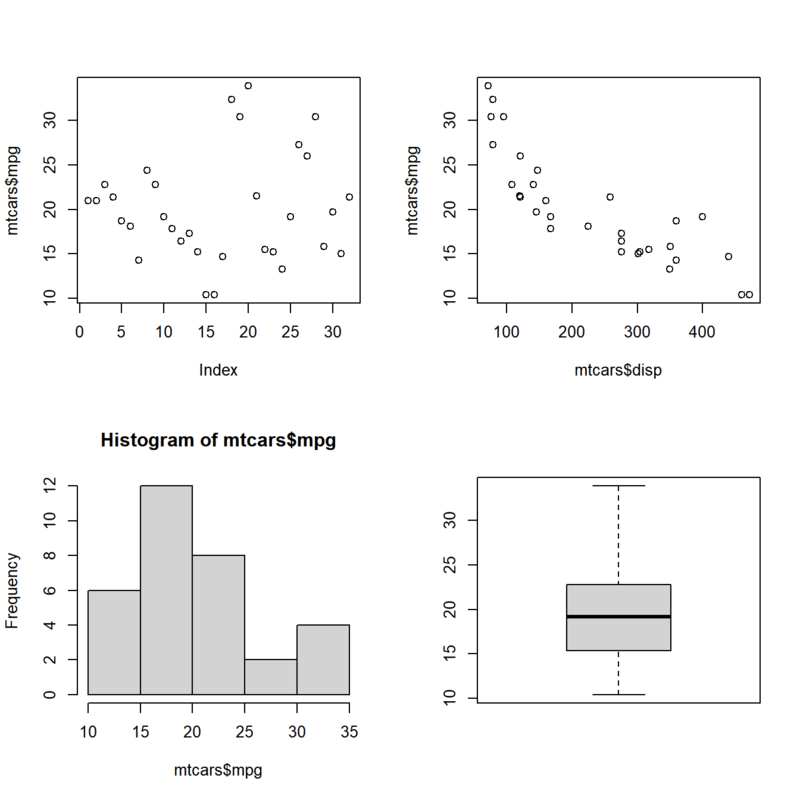 Often, it is useful to have multiple plots in the same frame as it allows us to get a comprehensive view of a particular variable or compare among different variables. 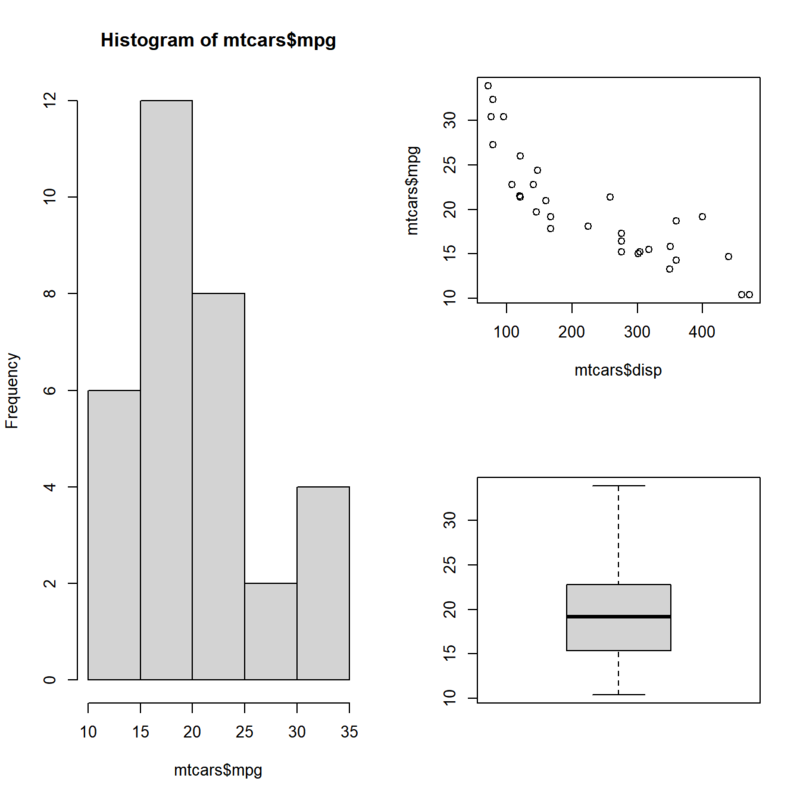 The Graphics package offers two methods to combine multiple plots. 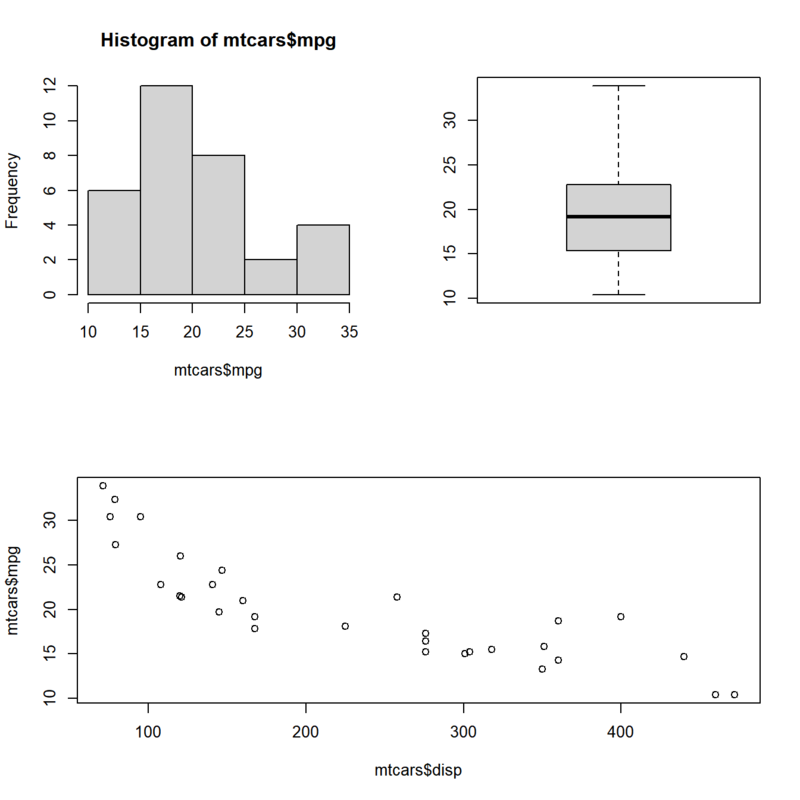 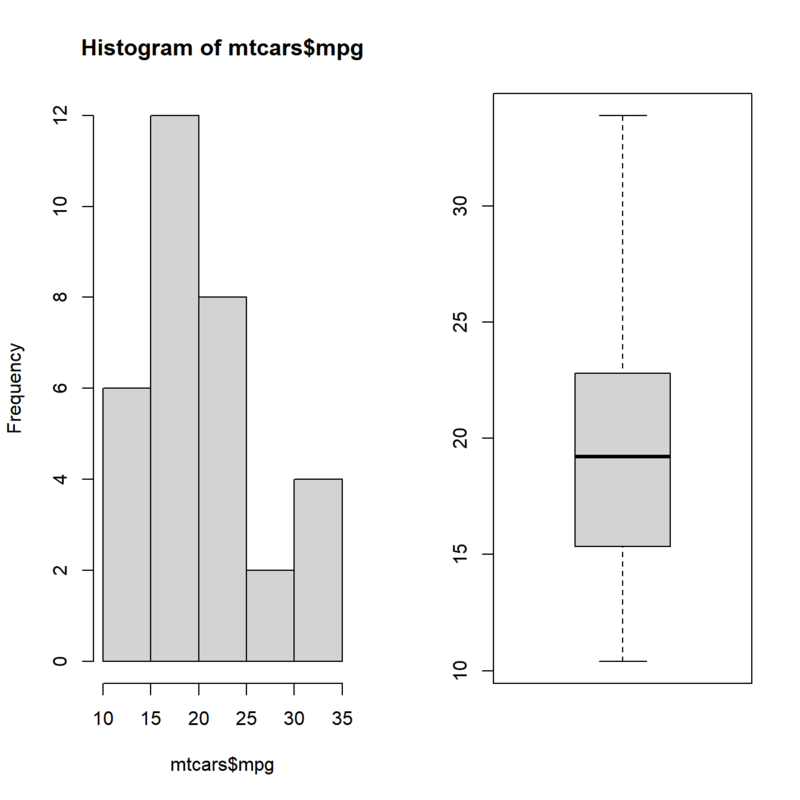 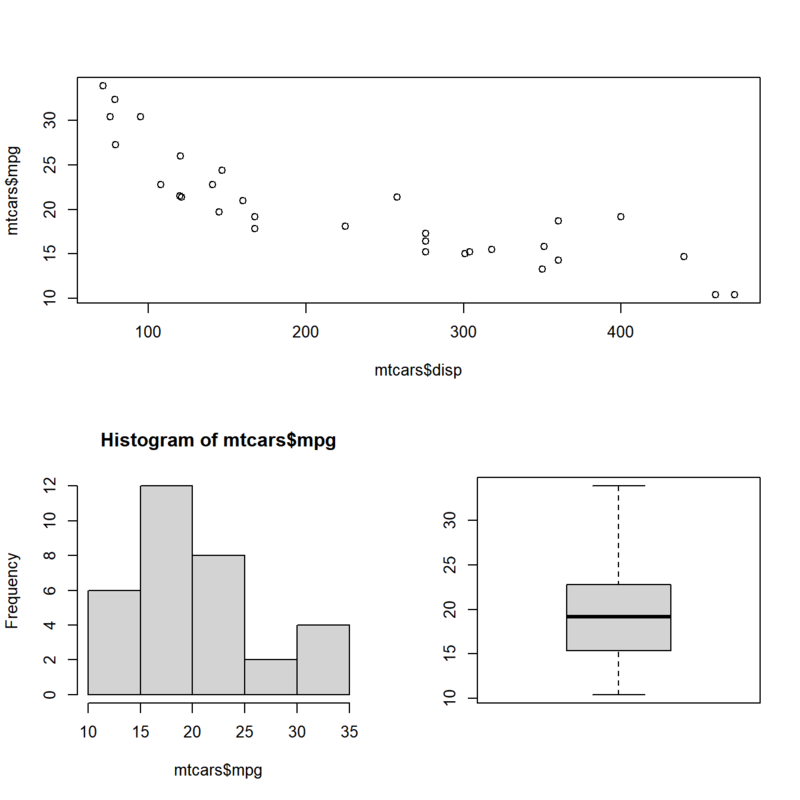 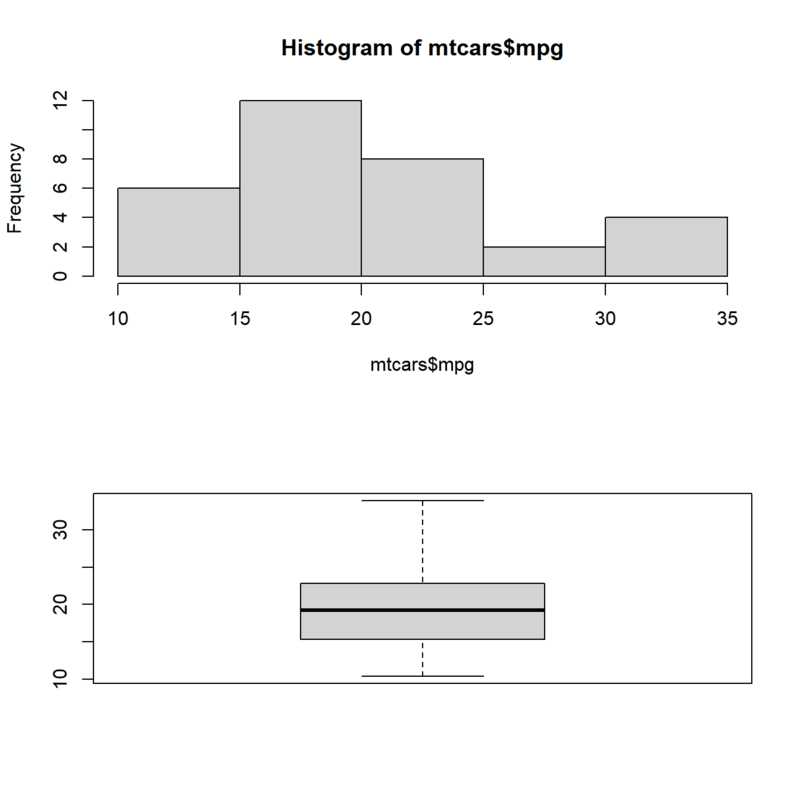 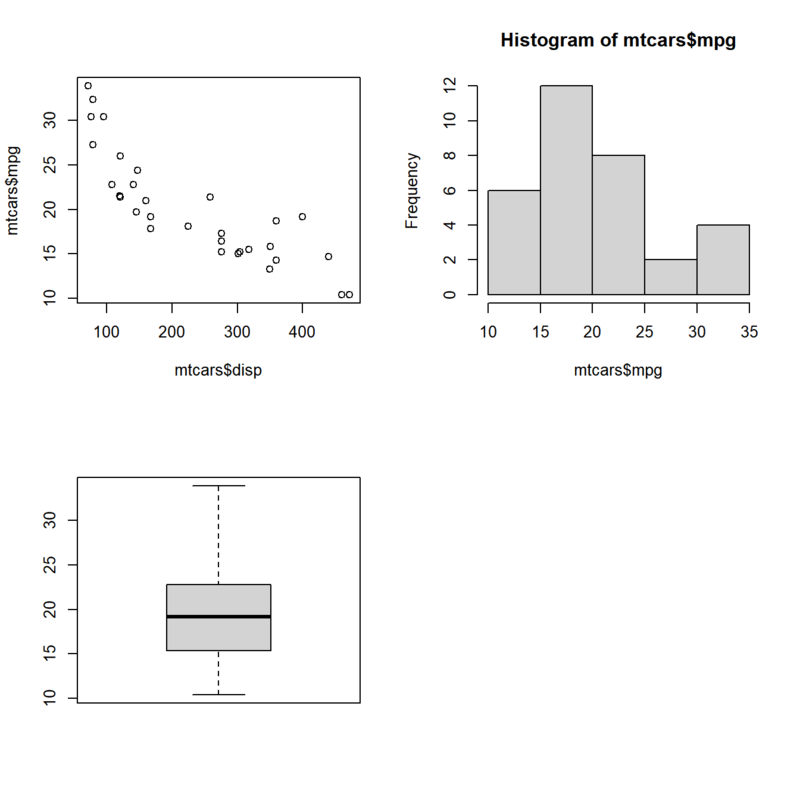 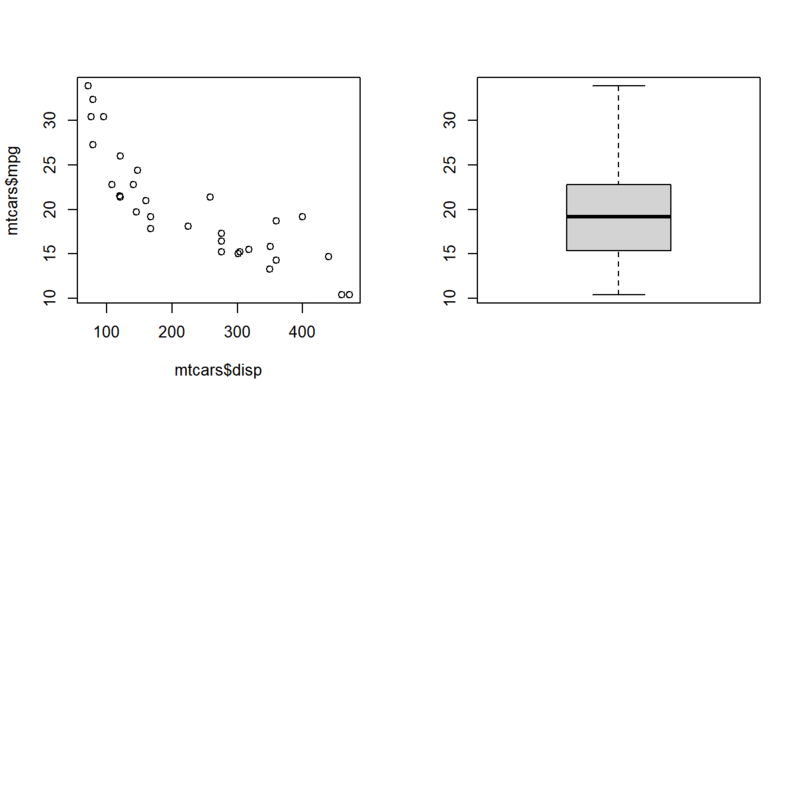 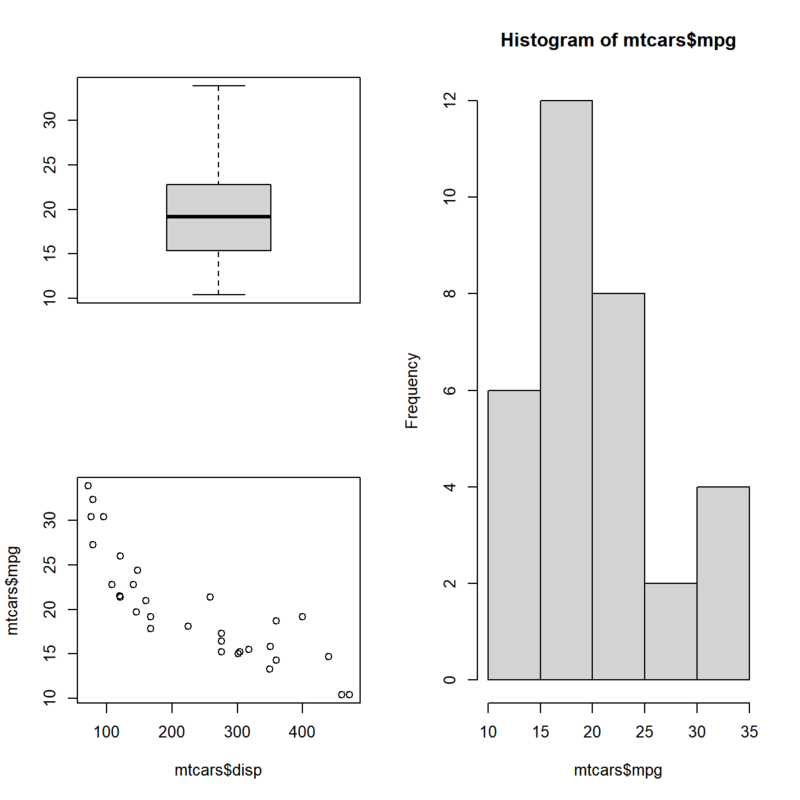 par() can be used to set graphical parameters regarding plot layout using the mfcol and mfrow arguments. 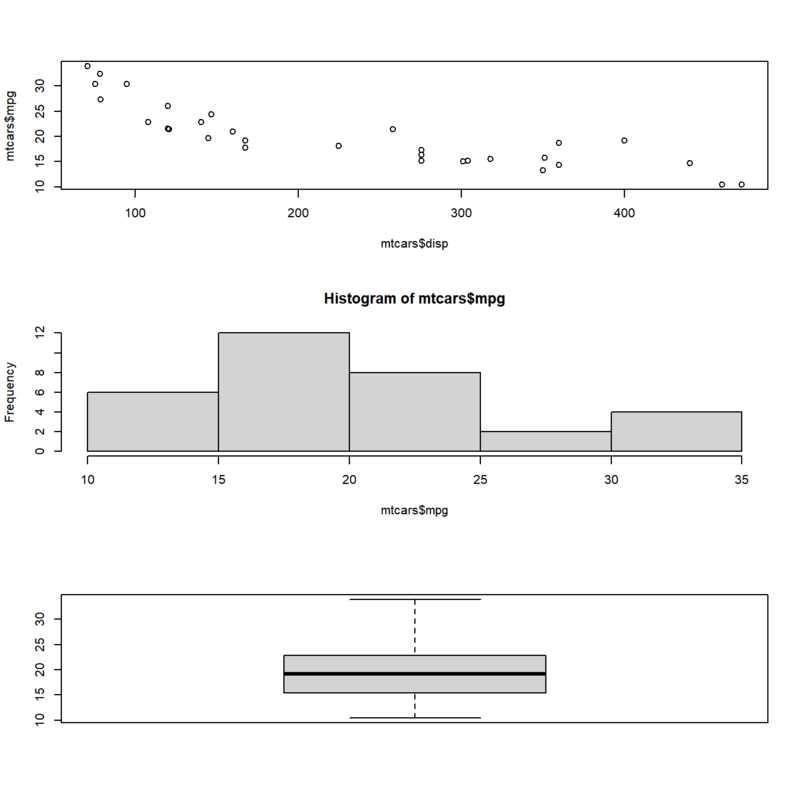 layout() serves the same purpose but offers more flexibility by allowing us to modify the height and width of rows and columns.